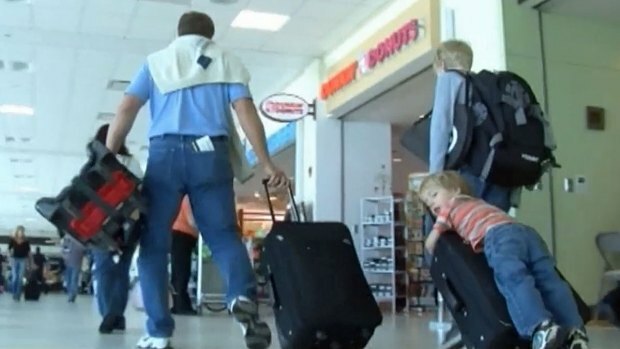 According to AAA, this Thanksgiving will see the most travelers since 2007, with nearly 49 million Americans who will set off to visit Grandma and Uncle Ben this long holiday weekend. 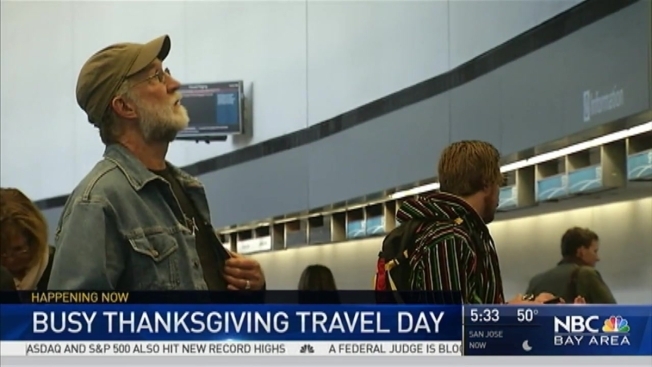 And San Fran Francisco International Airport was like most airports across the country on Wednesday morning, the kickoff of Turkey Day travel across the country. Lines were long, but there were no reported delays early in the morning, despite snowstorms blanketing parts of the East Coast. SFO officials said they expect 6.5 million people to travel through the airport through the extended holiday season, through January 2017. And they expect a crush of passengers, more than 160,000 people, returning home on Sunday after they've filled their bellies with cranberry sauce and pumpking pie. Rivka Geoghegan, was at the airport on Wednesday, ready to head out on Delta Airlines. "We’re super excited, we can’t wait to be with our family and hang out, relax, and eat some good food." Long lines are the norm as millions of people rush to get to their destinations for Thanksgiving. Damian Trujillo reports. Motorists can view live shots of traffic and road conditions on the Caltrans website.